This section of the website is for the use of individuals interested in conducting OHP related research. Members of various discussion lists will receive e-mails from other subscribers who wish to pose questions, announcements or conversation topics to the group. The following discussion lists may be useful for OHP professionals. This is an unmoderated listserv that is open to anyone who is interested in discussing occupational health psychology issues. Job postings and announcements of conferences and meetings are welcome. Hosted by the American Psychological Association. To subscribe, send the following message to listserv@lists.apa.org: SUBSCRIBE OHPLIST Jane Doe (note: change “Jane Doe” to your name). After sending this message you will soon receive an email explaining how the OHPLIST works, and how you can participate in the discussion. You can also find out more about OHPLIST, join and leave the list, change your subscription settings, and review archived postings to the discussion list by clicking here. The APA Center for Organizational Excellent website hosts a blog and podcast series concerned with the development of psychologically healthy workplaces. They also publish newsletters as well as abstracts of research articles on topics relevant to employee health and well-being. Peter Schnall at the Center for Social Epidemiology has started a blog intended to serve as a place for dialog about issues of globalization, work and health. Its purpose is to present, for discussion, information related to working conditions and their impact on health. This blog will discuss globalization, its influence on the modern organization of work and it’s role in the decline of health in working people internationally. The New Workplace Institute (@ Suffolk University Law School) has started a blog containing commentary and news on work and workplaces. Dignity at work, workplace bullying, and finding meaningful work will be among the ongoing themes. Initial posts include: “Labors of Love: Chasing Tornadoes” “Avoiding Layoffs” “Workplace Bullies in Politics.” Here’s the link: Coming longer posts to cover topics such as relational psychology at work and the status of the workplace bullying movement in the U.S. Suggestions for posts welcomed, including summaries of pertinent research that can be easily boiled down and linked. The Work Science Center at the Georgia Institute of Technology’s has created blogs, podcasts, and white papers on topics related to the modern workforce. Their website/blogs/podcasts are valuable resources both for academics and practitioners. You can find articles and podcasts on the popular discussions on both Occupational Health Psychology and broader Industrial and Organizational Psychology-related topics. 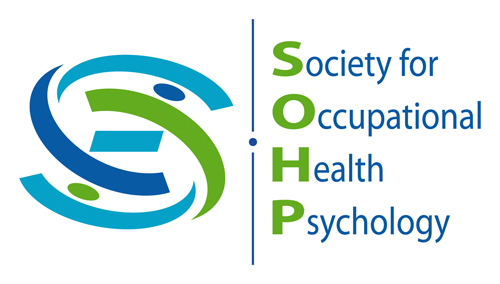 In March 2017, the Education and Training committee of SOHP and Portland State University hosted the very first webinar on occupational safety and health that attracted attendees from all over the United States and around the world. The intention of this webinar series is to facilitate dissemination of occupational health & safety research and to catalyze idea cross-fertilization in our field. Despite the increasing popularity of new forms of work (e.g., telecommuting) in the information age, commuting remains a daily routine for many in the workforce. Given that commuting usually occurs right before individuals start their actual work activities, it is an integral experience of workers’ lives. The quality of their commute may have implications for not only their well-being during the commute, but also their subsequent work behaviors. In two studies using daily experience sampling methodology, we demonstrate that exposure to morning commute stressors have a significant impact on employees’ behaviors during the work day. In Study 1, data were collected from employees in China who used public transportation to commute to work. Results showed that morning commute stressors were positively related to workers’ commuting strain, which in turn was negatively related to their self-regulation at work. Commuting means efficacy and daily task significance attenuated these associations. In Study 2, data were collected from managers in the US who drove to work. Results showed that exposure to commute stressors were positively related to depletion, which in turn was negatively associated with effective leader behaviors. This association was attenuated by individuals’ implicit theory about willpower. The following is a list of online resources that may be helpful to OHP researchers.